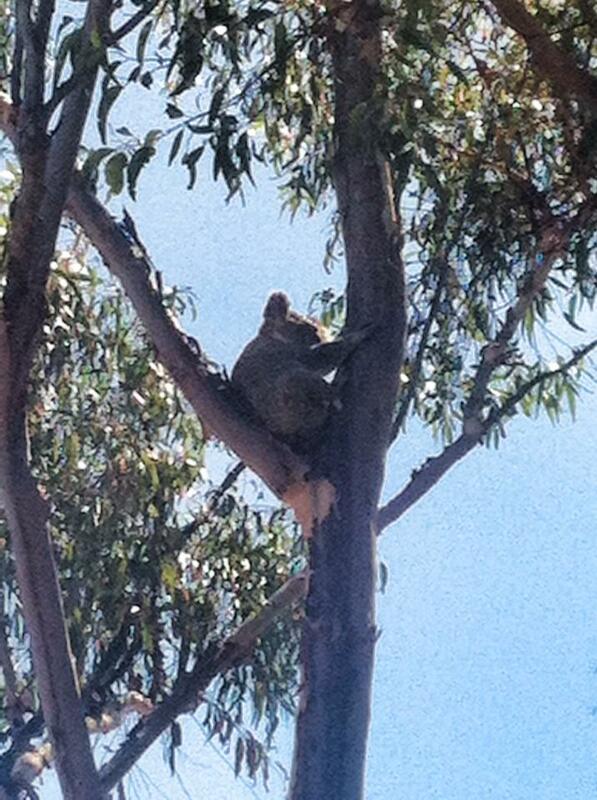 A koala, you don’t see koala’s everyday..but when you do they are so bloody cute! I wouldn’t pick one up though, have you seen their claws? I am very lucky to live where I live. 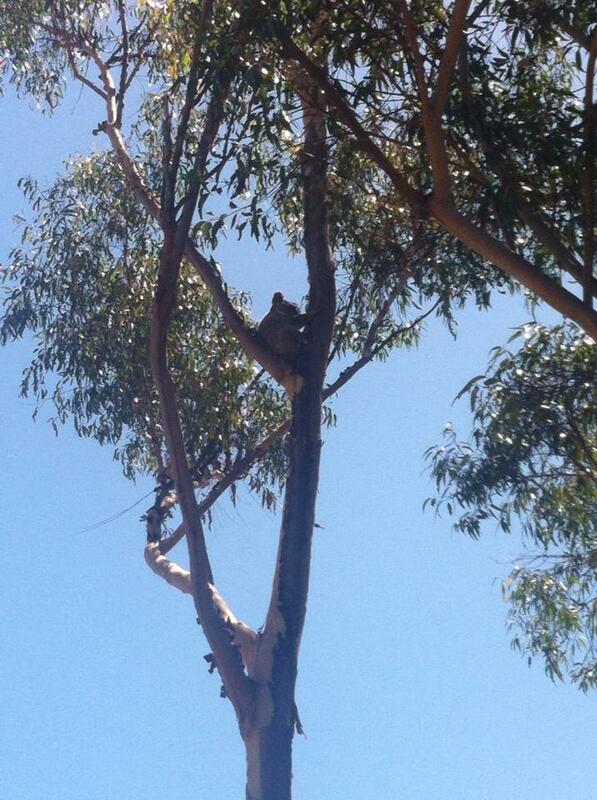 Yesterday I was saying goodbye to my little family, in the front yard, and just across our little street I saw something move…”A koala!!! A koala!! !” I yelled, and we all just stood there watching this koala bounce across the grass, like it had no problems in the world, grab hold of the tree…has a little look around, and continues on his little journey to his dinner. 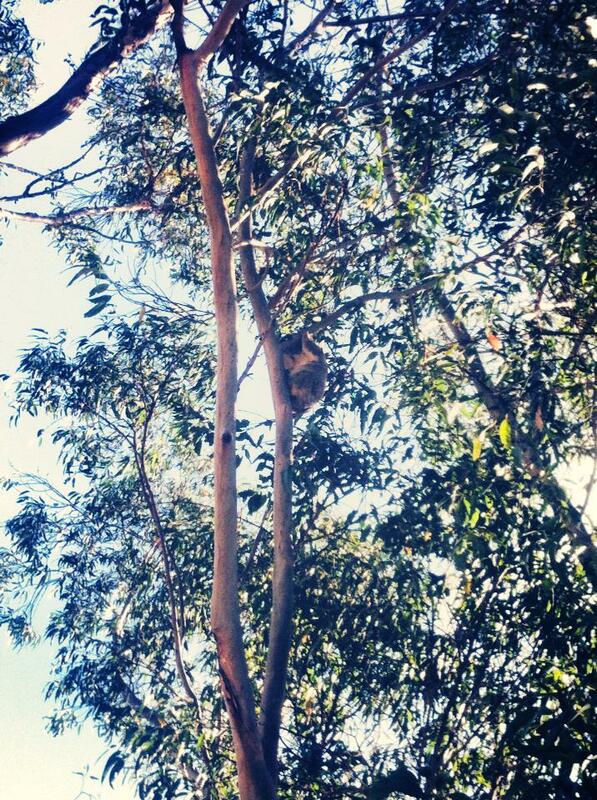 I have lived in Oz all of my life and only see koala’s, on average, once a year. They are amazingly beautiful. This one just happens to be the only one in the general vicinity and is happily doing the rounds of the eucalyptus trees feasting all by himself. Or herself of course. I did happen to snap a few (far away) shots.